Happy Friday everyone! Get a Free can of SanPellegrino with your 7-11 Rewards App today! I love this drink! 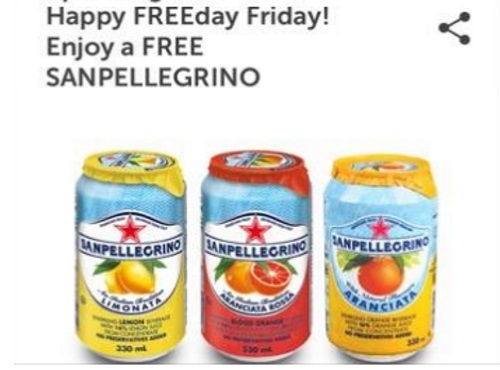 Just show the coupon offer on your 7Rewards app to get a Free can of SanPellegrino in store! Text APP to 711247 to download, or search it in the App store or Google Play if you don't have the app installed yet. Offer available today only, May 26, while quantities last!